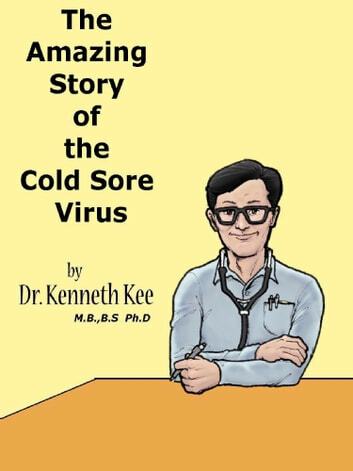 The Story of the Amazing Cold Sore Virus. Cold sores are small blisters that form around the lips or nostrils caused by the herpes simplex virus.There are two types of the herpes simplex virus(HSV-1 and HSV-2).Both can cause cold sores but most are caused by the HSV-1 herpes virus.There is no cure for a viral infection such as cold sores.The herpes simplex virus remains dormant in the nerve roots and are not removed by medicines that are presently available for treatment. Once the virus is entrenched in the body those people with the virus will continue to get cold sores off and on throughout their life. Herpes can be spread from a cold sore to another area of the body such as the finger (herpetic whitlow). To prevent spreading the virus to other parts of the body, it is important to wash hands properly after touching the sore.